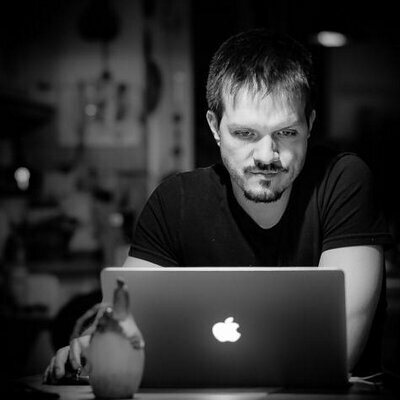 My open-sourced code can be found at github.com/spier. These are some of my more prominent projects, including pet projects used for technology exploration. Some of them might not be online anymore at the time of viewing this page. The University Database anabin did not have an API, so I wrote a simple one to demonstrate what cool integrations could be built, if there only was an API. 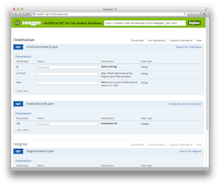 Uses grape for the API, swagger-ui for documentation, and heroku for hosting. Weekend project that uses the ZEIT ONLINE Contet API to answer these questions: Which authors haven written for DIE ZEIT and ZEIT ONLINE in which year? How often have their articles been mentioned on Twitter, Facebook, etc? An alternative to the official API Explorer of the ZEIT ONLINE Content-API Explorer, based on mashery’s I/O Docs. Also see related blog post. This demo applies the concept from Tesseract Airline on-time performance to the train data of Zugmonitor. 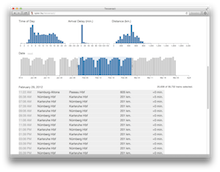 Zugmonitor is an application that provides data about delays in the Germany Railways. The coordinated visualizations (built with D3) show nearly 60,000 train connections from early 2012 (data courtesy of OpenDataCity). With this application I won the 1. Prize at the Springer API Challenge in 2011. It was a great learning experience in terms of working with heroku, ruby, and the Springer API. 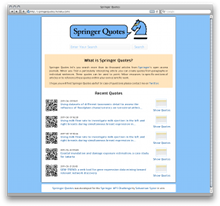 Springer Quotes let’s you search more than 80 thousand articles from Springer’s open access journals. When you find a particularly interesting article you can create quotes from paragraphs or individual sentences. These quotes can be used to point fellow resources to specific sections of articles or to reference these quotes within your own scientific work. Was running at http://springerquotes.heroku.com, now offline. 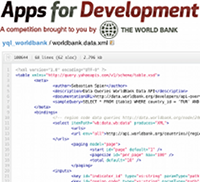 During the Apps for Development contest of the World Bank I created this YQL datatables to make working with the World Bank Data API easier. The sources are hosted at github and I also contributed them to the official YQL Community Tables. Briefling ist a project I did together with my friend Pascal. 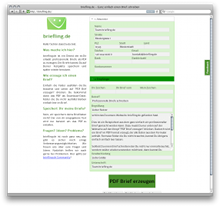 briefling.de makes it very easy to create professionally layouted letters in PDF format. 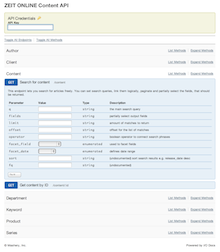 They can be directly created on the website be filling out the required data in the forms. The PDFs can then be stored locally. In the future we might extent the functionality to enable the posting of letters directly from our service. 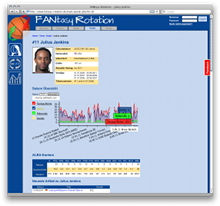 I developed FANtasy Rotation with my good friend Helge back in 2006 and we have been maintaining it ever since. It is a game for the German basketball club Alba Berlin, which allows to users to make bets on how much playing time each individual player will get for the upcoming games. The site also has a vast collection of statistics and news reaching back to 2005, which eventually turned out to be more popular than the game itself. In 2003 I architected and implemented a Content Management System for one of the then early location services in the German market called kneipenguide.de, again with my friend Helge. “kneipe” means pub in German, and kneipenguide.de made it easy for people to explore the best places for drinks and food in their city. On of the most favoured tools was the Happy Hour Finder, that helped the users to find an affordable way through their party night.